Did you know that beyond the Greek and Roman ruins, beneath the Egyptian pyramids, and deep into the Abyss (i.e. Abyssinia aka Ethiopia), there exists a collection of 11 churches, all formed from excavated rock? Commissioned by King Lalibela of Ethiopia about 900 years ago, legend says that the whole collection was built in only 23 years—mostly because the workers were aided by the help of angels who did some heavy-lifting each night. The timing of the architectural construction is said to have coincided with the Muslim conquest of Jerusalem in 1187. And so this gave the devout Ethiopians an alternative place of pilgrimage. 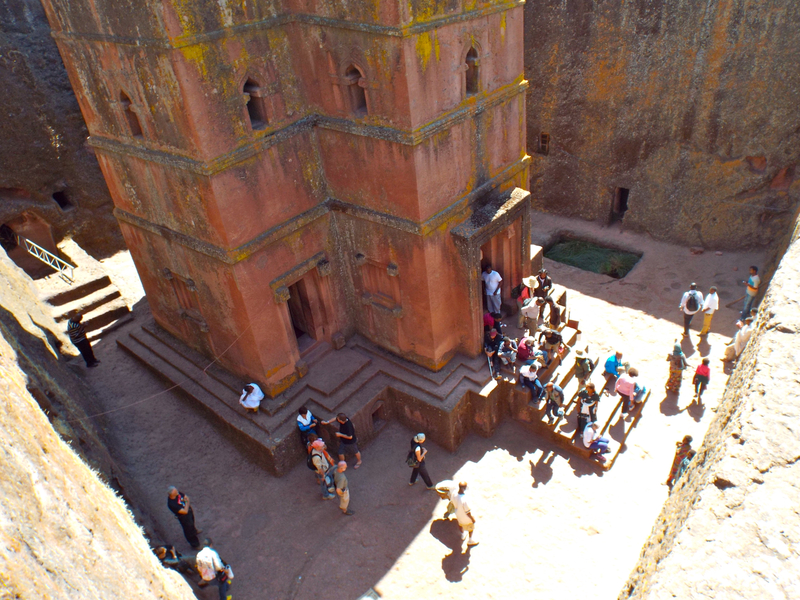 We were in Lalibela just a few days before Orthodox Christmas. 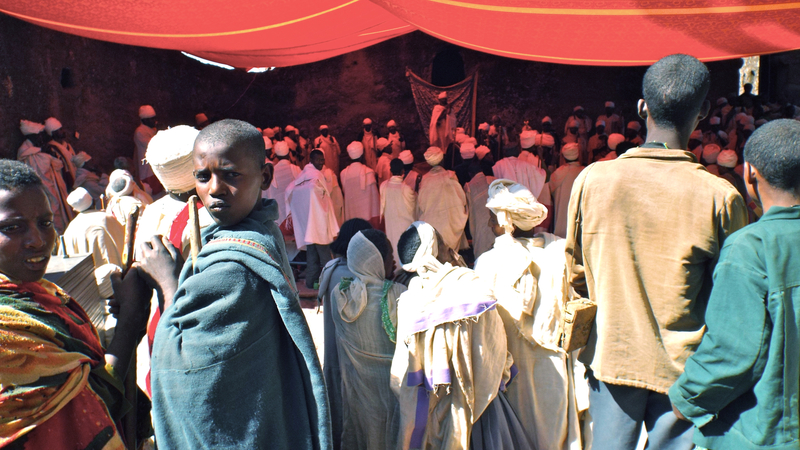 As we drove up the long and windy mountains, we watched as droves of pilgrims walked toward Lalibela—nearing the end of a days-or-weeks long journey. Once on-site, we tried not to interfere with the lively ceremonies—although we made fantastic flies against the excavated walls. 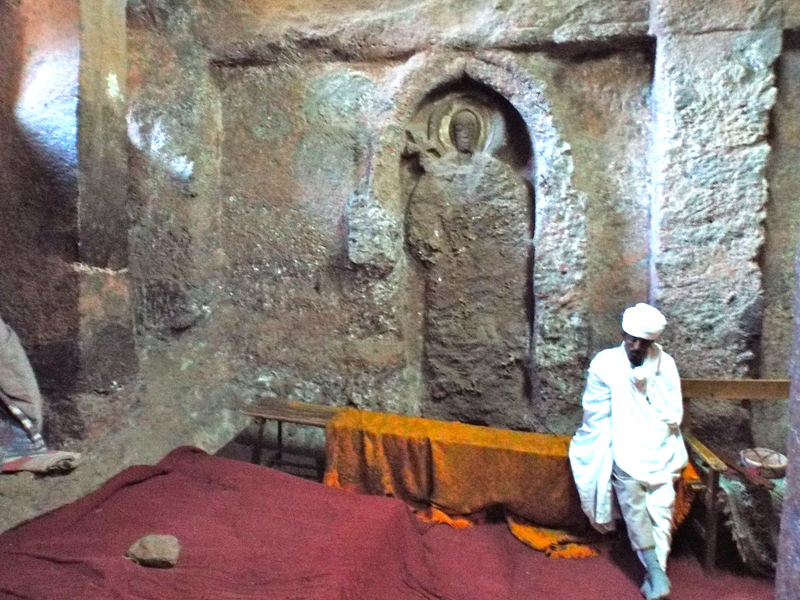 A man prays inside one of the rock-hewn churches in Lalibela. Thanks a lot Ashley, to try to show the world a different and better angle of Ethiopia. A lot of people didn’t know ended this part of our history. Receive, please my best regards!